Sebastian Irby holds the inaugural B.A. in Sustainability Studies to be awarded by Wake Forest University. She worked with the University’s Office of Sustainability throughout her collegiate career. Highlights of that experiences included developing a system to identify sustainability related courses, planning and organizing events such as the Power Dialog, and tracking carbon pricing trends to present to the University. She also prioritized sustainability-related resources for students and professors. Ms. Irby has worked on renewable energy projects and policy through NC State’s FREEDM Systems Center and the American Wind Energy Association. In 2016 she joined the Feast Down East team, working to strengthen local and sustainable food systems in her adopted hometown of Wilmington, North Carolina. 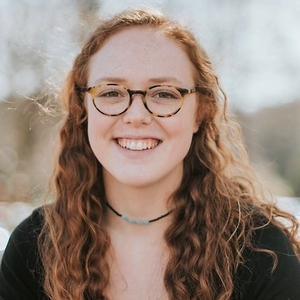 Most recently, she assisted in expanding environmental start-up company UCapture across college campuses and in drafting a Climate Action Plan for the City of Winston Salem’s Sustainability Office.